So, you’re about to head back to work and send your little one off to daycare for the first time. There are so many emotions around this big leap – from excitement over to heading back into the office, to anxiety over missing your little one during the day, this period can feel like roller coaster! And, in the mix of all these emotions, you might be wondering how this big change is going to affect your child’s sleep. Whether your child is already a champion sleeper, or has sleep difficulties, the daycare transition can play a role in your child’s sleep patterns and habits. 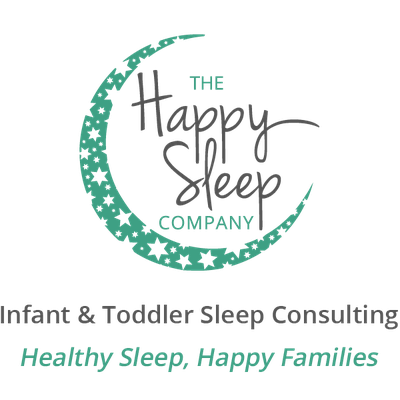 Here is my advice on what to find out before you choose a daycare provider, and how to manage sleep changes, to keep your little one’s healthy Zs on track! How many naps can your child have at the daycare? Many daycares, depending on the number of children in their care and their ages, will offer children one nap only, mid-day. While this works well for children over the age of 18 months, many children younger than this still require two naps per day. If your child still naps twice per day, I recommend asking your potential provider if keeping two naps until your child is ready to drop to one is an option. Many children who have to drop to one nap at the age of 12 months due to daycare rules begin to have sleep difficulites at night (bedtime battles and night wakes) due to overtiredness. Most children are not ready to drop to one nap until at least 16 months of age. Where do the naps take place? I recommend asking what the daycare’s sleep space looks like: do all of the children sleep on one room? Or, is there a separate room for each child? (which is often the care in home daycares). Do the children sleep in cribs, Pack & Plays, or on cots? The answers to these questions may be very important to you, depending on the type of sleep space your child is used to. What is the sleep environment like? Is it dark, or bright? Is there kinder-music playing loudly the whole time, or is it quiet? Does your daycare perhaps play white noise during naps? Again, these are all elements that may affect your child’s sleep at daycare, depending on how well they sleep at home and what they are used to. This question is important in general, but also – believe it or not! – relates to sleep. You’ll want to ensure your child is getting all the healthy nutrition – including whole grains, proper protein, and limited sugar – she needs, as this facilitates a full belly and proper sleep. How does the daycare provider handle sleep struggles? As a parent, you no doubt have a way (or several ways!) in which you manage things if your child is struggling at naptime with falling asleep. You’ll want to ensure you and the daycare are on the same page, and you are comfortable with how they would handle it if your child was refusing a nap or particularly fussy at sleeptime. This was a biggie for me when my own daughter entered daycare! Being permitted to bring “Buzzy” – her soft, oh-so-well-loved toy bunny – along with her to daycare was a MUST for us, as it not only made her feel more safe and comfortable, but allowed my husband and I to feel as though she had a piece of home to snuggle if she was feeling lonely or out of place. Some daycare centres do not permit comfort objects, due to a concern that it will be more traumatic for your child is the item is lost, damaged, etc. I say, get a back-up! That comfort object can go a LONG way to giving your child a more positive daycare experience. You could also ask if sending along a favourite book is ok with your daycare provider, as this could be read at naptime to help your child feel more secure and comfortable with her new surroundings. The bottom line? 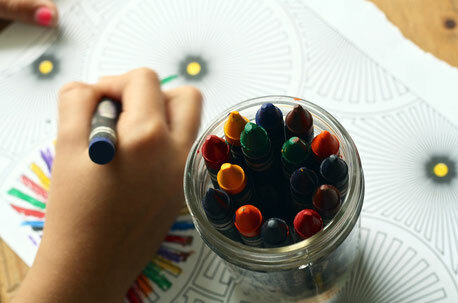 What's most important is that you are honest and open with your daycare provider about your expectations. Explain what sleep looks like at your home and the goals you have in mind for your little one’s daytime sleep – as long as you are all on the same page, your little one should snooze like a champ at her new daycare!